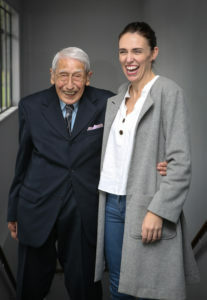 Prime Minister Jacinda Ardern arrived in Howick on Saturday to meet war veteran John Sato, who has received global recognition for his efforts to attend an anti-racism rally. 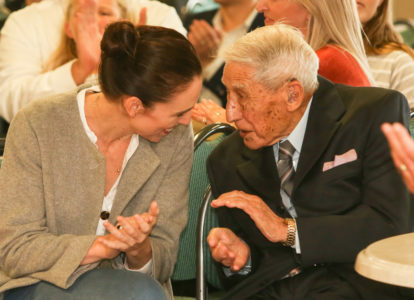 Jacinda Ardern visited Howick over the weekend for one very special reason. 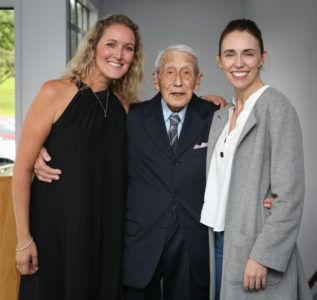 The Prime Minister was here to meet John Sato, the 95-year old Howick war veteran who received global recognition for his efforts to attend an anti-racism rally in Auckland. The pair shared a heartfelt embrace when they met. Sato thanked Ardern for leading the country through such a tragedy and Ardern thanked Sato for going to such great lengths to stand up against racism. 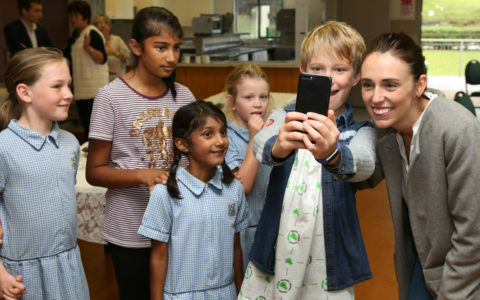 Ardern told the Times she was overwhelmed by Sato’s story. 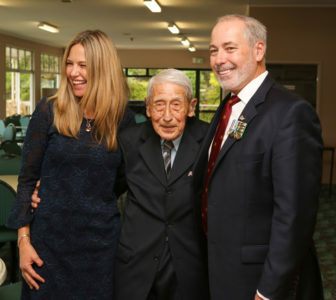 Sato, one of only two Japanese servicemen in the New Zealand army in World War II, felt compelled to show his support for the Muslim community following the Christchurch terror attacks. Sato left his house on Sunday morning, March 24 to visit a mosque in Pakuranga before deciding to go into Auckland City centre for an anti-racism march. In a photo that has since caught the attention of people across the world, Sato is seen flanked by a police officer and a member of the public as they fall behind the March. Ardern said the photo was so powerful, she found herself coming back to it over and over again. She said meeting Sato was a privilege and that he is an inspiring reminder of kindness, love and courage. 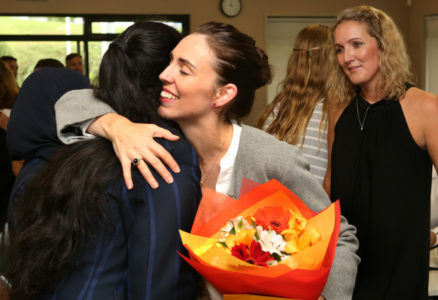 The last few weeks, Ardern says, have made her immensely proud of New Zealand and the way communities across the country have come together. 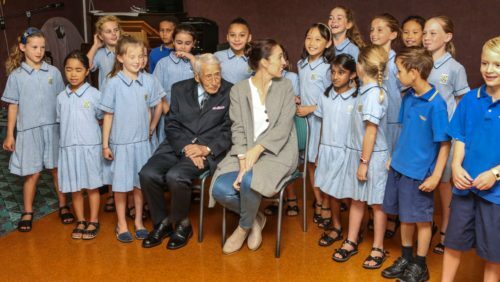 John Sato and Jacinda Ardern with the Cockle Bay Primary School choir. The pair sat down, along with around 70 other invited guests at the Howick Bowling Club to watch a fun musical performance by the Cockle Bay Primary School Choir. Ardern sung along with the youngsters and then spent the rest of the afternoon chatting with Sato. Arden later shared a tribute to Sato with her 596,000 Instagram followers. Bo Burns (left) organised for John Sato and Jacinda Ardern to meet. Times photo: Wayne Martin.